Special gifts for the special people in your life! Diekman’s Jewelry also offers free gift wrapping for all your purchases. 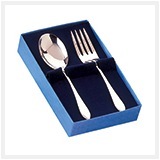 We also have crystal gifts, clocks, pens, jewelry boxes, letter openers, and bookmarks. We can even get real roses that are trimmed in gold! Give a flower (or a few) that will last. 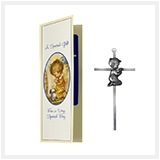 Our baby & children’s jewelry consists of crosses and lockets, rings and bracelets. 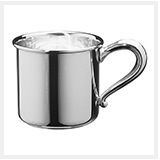 We also carry items like banks, cups, picture frames, rattles, etc. 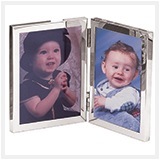 Many of them can be engraved for special occasions like Baptism. For weddings, we carry items like cake knives, and can order in accessories like cake toppers, garters, guest books, etc.